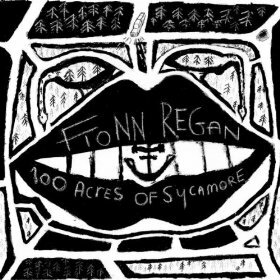 Irish singer songwriter Fionn Regan defines simple beauty with his new album, 100 Acres of Sycamore. The folk heavy tracks illicit images of riding a train through the Irish countryside. The perfect utilization of acoustic guitar, violin, and the contrastingly sparing use of drums, piano, and tambourine creates a series of tracks that carry a natural and graceful hum. Regan’s heartfelt, personal lyrics and acoustic harmonies are reminiscent of Neil Young, whom the singer cites as a musical influence. The album covers a multitude of emotions, offering a wide range of insights and experiences. Regan sings of love, loneliness, persistence, and of drowning your sorrows in vodka. Each song is a comfort, like a voice in the dark or a warm cup of coffee in a rainstorm. Many of the tracks are long, but perfectly paced. And despite their five-minutes in length, the end always comes too soon. With this album, Regan proves that slow, steady, and beautifully bare wins the race.